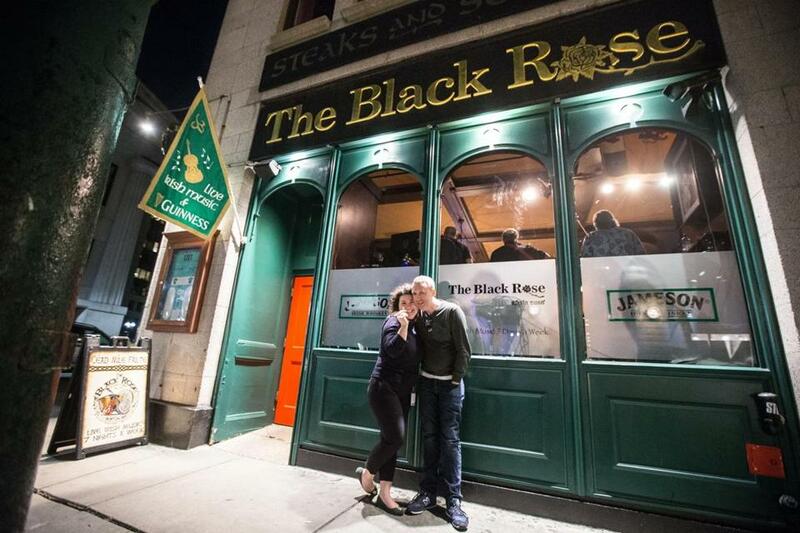 Kate Kim and Peter Lynch outside The Black Rose in March. The pub is celebrating it&apos;s 40th anniversary this year. The Black Rose turned 40 this spring. To mark the milestone, the legendary Irish pub hosted an anniversary bash on May 4 that drew a large crowd. Approximately 200 friends, family, employees, and loyal customers came out for the celebration, and needless to say, the Guinness flowed freely. Celtic Clan performed on stage, providing the live music that the Rose is famous for. Among those who attended were Dave Wedge, co-author of the book “Boston Strong,” and attorney Eugene L. O’Flaherty, the corporation counsel for the city of Boston, who presented pub owner Michael Glynn with a proclamation declaring May 4 “Black Rose Day” in Boston.